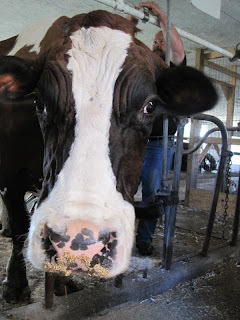 We did some chores for the neighbors over the weekend, including milking their lovely cow, Niina. They just have the one cow, a remnant from their days as a dairy farm. Niina is about the most agreeable cow you could hope to milk. She's friendly and curious even with strangers. She comes in the barn from pasture and heads straight for her stall not even pausing to consider a stroll through the open door she passes on her way. She doesn't mind if you don't happen to follow the routine she's accustomed to. She's not even particular about which side you milk her from. She eats her grain, lets down her milk and tries to give a friendly lick. 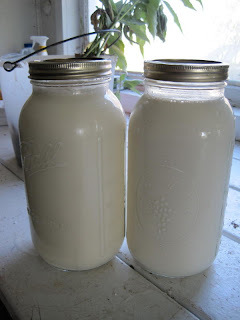 It is so nice to bring home fresh milk and the promise of yogurt, cheese, and fresh cream for our coffee. 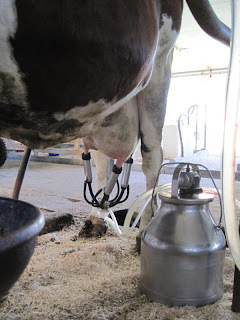 We were dairy farmers too in a previous life. 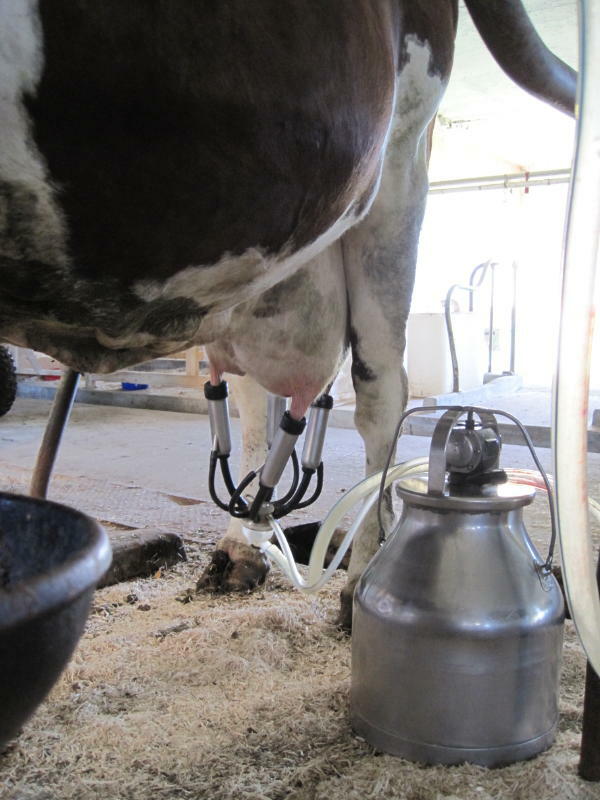 I milked on dairy farms as both intern and farm-hand. 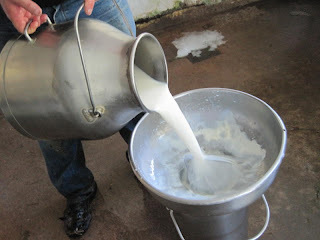 We also milked sheep for a number of years. There's wealth of agricultural knowledge stored on a dairy farm, each farmer having learned from the generations that came before them.